Professor David Hyunchul Shim at KAIST in collaboration with Professor Soon-Jo Chung of Caltech and Professor Aditya Paranjape of Imperial College London investigated the problem of diverting a flock of birds away from a prescribed area, such as an airport, using a robotic UVA. A novel boundary control strategy called the m-waypoint algorithm was introduced for enabling a single pursuer UAV to safely herd the flock without fragmenting it. The team developed the herding algorithm on the basis of macroscopic properties of the flocking model and the response of the flock. 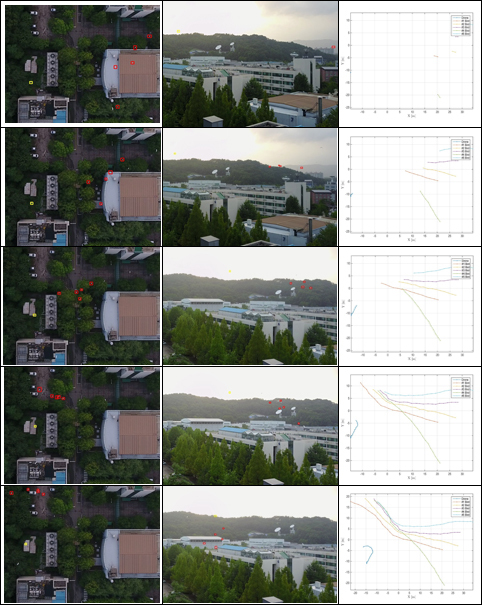 They tested their robotic autonomous drone by successfully shepherding an entire flock of birds out of a designated airspace near KAIST’s campus in Daejeon, South Korea. This study is published in IEEE Transactions on Robotics. “It is quite interesting, and even awe-inspiring, to monitor how birds react to threats and collectively behave against threatening objects through the flock. We made careful observations of flock dynamics and interactions between flocks and the pursuer. This allowed us to create a new herding algorithm for ideal flight paths for incoming drones to move the flock away from a protected airspace,” said Professor Shim, who leads the Unmanned Systems Research Group at KAIST. Bird strikes can threaten the safety of airplanes and their passengers. Korean civil aircraft suffered more than 1,000 bird strikes between 2011 and 2016. In the US, 142,000 bird strikes destroyed 62 civilian airplanes, injured 279 people, and killed 25 between 1990 and 2013. In the UK in 2016, there were 1,835 confirmed bird strikes, about eight for every 10,000 flights. Bird and other wildlife collisions with aircraft cause well over 1.2 billion USD in damages to the aviation industry worldwide annually. In the worst case, Canadian geese knocked out both engines of a US Airway jet in January 2009. The flight had to make an emergency landing on the Hudson River. Airports and researchers have continued to reduce the risk of bird strikes through a variety of methods. They scare birds away using predators such as falcons or loud noises from small cannons or guns. Some airports try to prevent birds from coming by ridding the surrounding areas of crops that birds eat and hide in. However, birds are smart. “I was amazed with the birds’ capability to interact with flying objects. We thought that only birds of prey have a strong sense of maneuvering with the prey. But our observation of hundreds of migratory birds such as egrets and loons led us to reach the hypothesis that they all have similar levels of maneuvering with the flying objects. It will be very interesting to collaborate with ornithologists to study further with birds’ behaviors with aerial objects,” said Professor Shim. “Airports are trying to transform into smart airports. This algorithm will help improve safety for the aviation industry. In addition, this will also help control avian influenza that plagues farms nationwide every year,” he stressed. For this study, two drones were deployed. One drone performed various types of maneuvers around the flocks as a pursuer of herding drone, while a surveillance drone hovered at a high altitude with a camera pointing down for recording the trajectories of the pursuer drone and the birds. During the experiments on egrets, the birds made frequent visits to a hunting area nearby and a large number of egrets were found to return to their nests at sunset. During the time, the team attempted to fly the herding drone in various directions with respect to the flock. The drone approached the flock from the side. When the birds noticed the drone, they diverted from their original paths and flew at a 45˚ angle to their right. When the birds noticed the drone while it was still far away, they adjusted their paths horizontally and made smaller changes in the vertical direction. In the second round of the experiment on loons, the drone flew almost parallel to the flight path of a flock of birds, starting from an initial position located just off the nominal flight path. 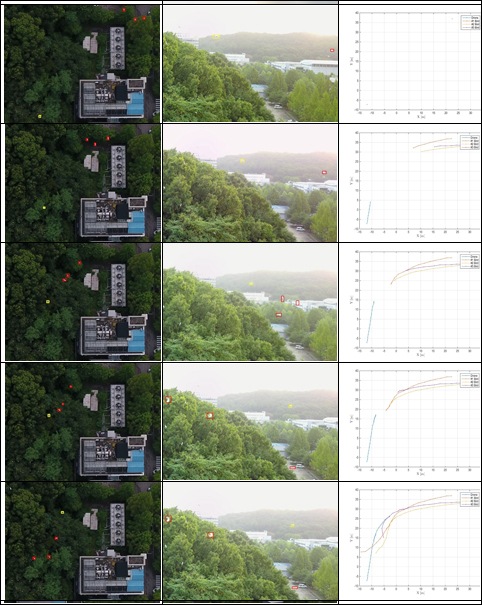 The birds had a nominal flight speed that was considerably higher than that of the drone so the interaction took place over a relatively short period of time.